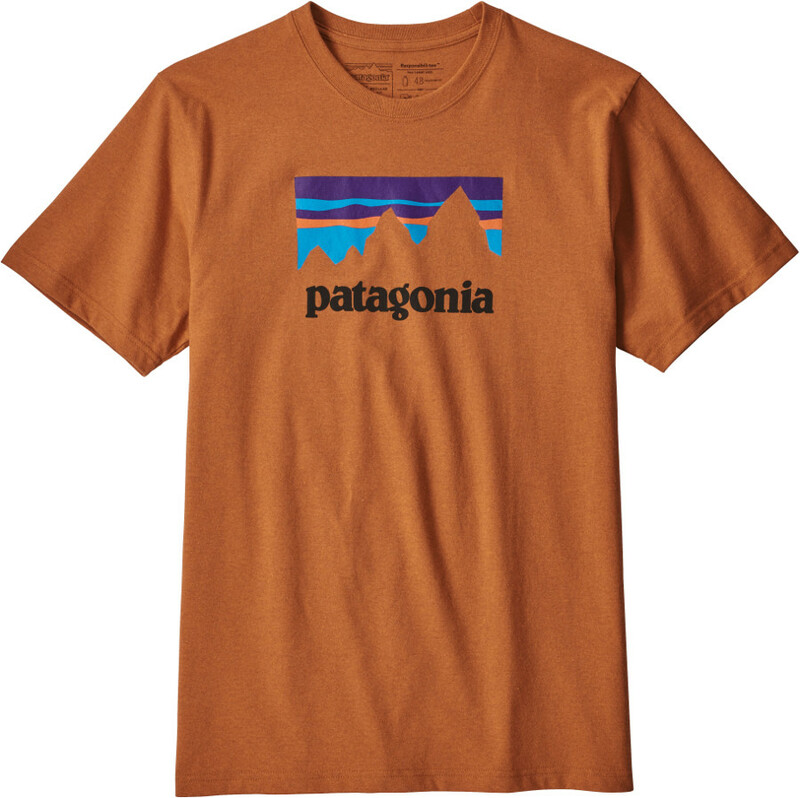 This stylish marigold Patagonia t-shirt features a classic look with added taped shoulder seams for extra comfort and uses 100% recycled materials. Every one of this tees is made with a blend of 50% recycled cotton and 50% postconsumer materials. These postconsumer materials are recycled plastic bottles and recycled fabric scraps, which have been repurposed into part of this t-shirts material. These materials make this t-shirt highly sustainable without sacrificing any of the comfort. This sustainable blend has earned official certification from bluesign and the sewing was carried out in a fair trade certified factory based in Yucatan, Mexico. There are currently no questions to display about Patagonia Shop Sticker T-Shirt - Marigold.